Both of these sources have different kinds of water systems but very inexpensive. Lymphoma Cancer, which I was diagnosed with, is largely caused by pesticides coming into the water supply from outside your home and many other ways, including pesticides in the home we use every day. I stopped using Tap Water after being diagnosed. I only drink water from the Velaqua Water Enrichment System because it is Simply the Best. This system is the World's First of its kind. Unlike other water filtration systems, Velaqua is the only quality system that filters, purifies, alkalizes, mineralizes, ionizes and creates micro-clustered water with high anti-oxidant properties. Plus our own proprietary Energy Fusion Technology! All this in one portable unit and "NO" electricity needed. Velaqua uses only the same process as Mother Nature to produce its superior drinking water. But while Mother Nature takes months even hundreds of years, Velaqua takes the same process and requires only a few minutes to produce the same natural premium drinking water, just as Mother Nature intended. The water passes through an exclusive ceramic filter, then through a special mineral cartridge containing specifically selected minerals. This process is meant to stimulate fresh pure stream water just like Mother Nature has for thousands of years. 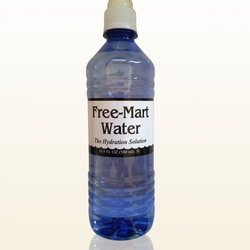 The result is premium alkaline negative charged water that has a fresh taste, naturally soft and has strong antibacterial protection. The Velaqua is a water purifier, an alkalizer, an energizer. It operates gravity feed (no electricity needed). Velaqua~~Patented, NON-Electric, Gravity fed Water System that is the ONLY one in the World to: Purify, Alkalize, Ionize, Mineralize and Micro-Cluster Water using the same process as Nature, by gravity through rocks and rare earth minerals! It will work anywhere anytime. 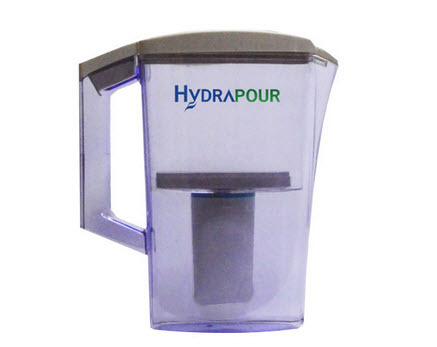 It converts tap water into the best tasting safe drinking water you have ever tasted! For pennies a day! Retails NOT for $4,000 but ONLY $349. It is a very simple water system. About the size of a 5-gallon water bottle. It is gravity fed… NO Electricity or Plumbing required, completely Portable... Just pour any water in... Let 14 stages of natural filtration take place… then drink ... It's the best tasting water I have ever had... sweet, mineral rich, alkaline, negative ORP created in a balanced and natural way... like nature and NO electrolysis. The ceramic disk part of the filter is embedded with an Ionic charge....It imprints the water with the frequency of a waterfall. This can be scientifically shown with an Ion meter... The disk has a reading of over 4,000 ions. It will serve water worldwide...everyone can afford it and needs it. Velaqua was created so that everyone can enjoy fresh, healthy, natural drinking water without spending a small fortune. Velaqua is our revolutionary portable water enrichment system that duplicates nature’s water purification and filtration. Nature's way of purifying water that falls into the ground is long and tedious as it seeps and trickles along the Earth's layers of natural rocks and soil. It is then slowly filtered and infused with health enhancing minerals and when it bursts to the surface in the form of a mountain spring it is fresh, pure, healthy and delicious. In some places the water even has alkaline and ionizing properties. "Why you need to drink Alkaline Water "Velaqua Water"
Velaqua also comes with WQA Gold Seal, Water Quality Assoc. Seal, and is a NSF approved filter system. Velaqua is BPA FREE and is a Go-Green product. "Always Remember..."NO" disease or sickness can live in an Alkaline body." IT'S JUST THE BEGINNING TO A NEW HEALTHY YOU! Below is an extremely interesting article I found about Dr. Otto Heinrich Warburg, 1931 Nobel Prize Winner, about “The Root Cause of Cancer”: Dr. Otto Warburg discovered the root cause of cancer in 1923 and he received the Nobel Prize for doing so in 1931. Dr. Warburg was director of the Kaiser Wilhelm Institute (now Max Planck Institute) for cell physiology at Berlin. He investigated the metabolism of tumors and the respiration of cells, particularly cancer cells. Below in the doc file are some direct quotes by Dr. Warburg during medical lectures where he was the keynote speaker. Dr. Oz was shocked about the information regarding bottled waters. For this bottled water segment, his guest doctor, from Consumer Reports, presented information about the bottled water industry being even less regulated than the municipal sources. She said, in effect, that it was difficult to tell from the labeling what the source was. If for instance, there was reference to the water being filtered, this could mean that it was from a municipal source or not. Many of us may have originally imagined that this bottled water came from pure spring waters high in the mountains. This impression, perhaps enhanced by the visual presentations through advertising, gives a sense of clean and healthy water to drink. Then reality settles in as you find out more facts. I found it absolutely crazy that the companies which sell bottled water are not required to disclose the content or source of their water, which may be contaminated with carcinogenic chemicals. It was clear from the answers to questions posed to the Dr. Oz audience, that a very small percentage were really aware of the dangers lurking in their water, whether from the tap or bottled source. The program introduced all of us the inherent health risks and dangers which are present in our municipal water systems and in the under-regulated bottled water industry. 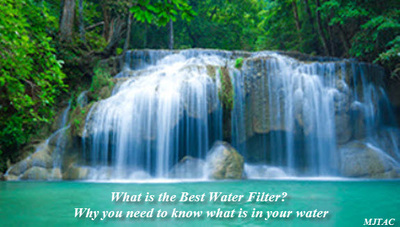 Want to find out what is in your water? Contact your Consumer Confidence Report, or CCR. The EPA requires utilities to provide a CCR to their customers every year. You may also find the CCR in your newspaper or posted on your government website.